“We were really glad when we heard that the Indie Beauty Expo was coming to London, because what we saw of the New York one really excited us! 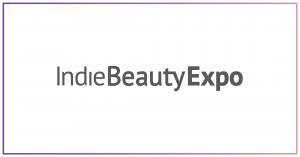 Now of course there are quite a few beauty shows some of them really huge and some smaller: what we liked about the idea of the Indie Expo is that it is more niche and the perfect opportunity to meet new and interesting brands that we may not be familiar with yet. Click here to see which brands WOW Beauty discusses.